From September 1, 2012, the Institute for History of the Faculty of Humanities of Leiden University has available a full-time Postdoctoral position (38 hrs) for 4 years in the NWO VICI project Crime and Gender 1600-1900: a comparative perspective, section Social and Economic History. The Postdoctoral researcher will examine gender differences in crime and changing concepts of crime and gender and the public roles of men and women in Europe, particularly England, Germany, Italy, and the Netherlands. The research will lead to a monograph in English on crime and gender and concepts of public roles in Europe 1790-1900, and is part of the project Crime and Gender 1600-1900 in which various regions within Europe will be compared. Supervisor: dr. M.P.C. van der Heijden (Social History). The section Social and Economic History is a dynamic research group with enthusiastic researchers and lecturers with a very good track record in attracting national and international research grants. Research specializations: modern and early modern migration, global history, urban institutions, welfare state, gender, family, and crime. Teaching university course(s) on 19th century social or legal history. The position of Postdoctoral researcher is temporary for maximally four years (0.8). Initially the employee will be contracted for one year. An extension of three years is possible after positive evaluation of capabilities and compatibility. The maximum gross monthly salary is € 3.422,- for a full working week in accordance with the collective salary agreement of the Association of Dutch universities (CAO) and depending on qualifications and experience. You will receive a holiday allowance amounting to 8% and an end-of-year bonus of 8.3% of your yearly income. For more information please contact Dr. M.P.C. van der Heijden, email: [email protected]. Website project Crime and Gender 1600-1900: official website. Website Institute for History: official website. Please quote the vacancy number in your application and send it electronically to: [email protected] before the deadline of 4 June 2012. All requested documents should be sent in pdf format. An interview with a selection committee is part of the procedure. 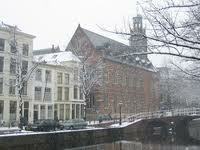 Interviews will be held in the second week of June, 2012, at Leiden University. Demikianlah informasi mengenai Postdoctoral Researcher, Leiden Institute for History, Leiden University, Netherlands semoga berguna bagi anda.